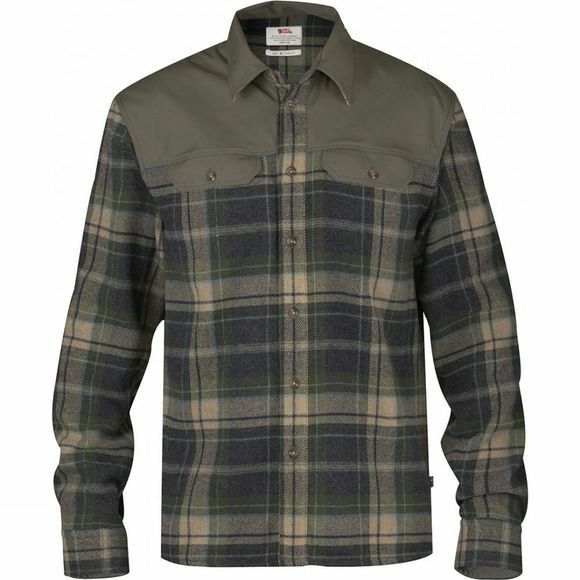 The Men's Granit Shirt from Fjällräven is a heavy weight wool shirt that offers excellent warmth and comfort on cool days outdoors. It is perfect for wearing alone as a warm base layer but also ideal for wearing as an over shirt to keep the breeze off in mild conditions. It carries all the exceptionally warm qualities of fine wool with the strength of polyester fibres thanks to the G-1000 Original reinforcements, particularly across the shoulders.